Beautiful and family-friendly Medal of Honor Park is conveniently located almost directly across the street from Sugar Creek. 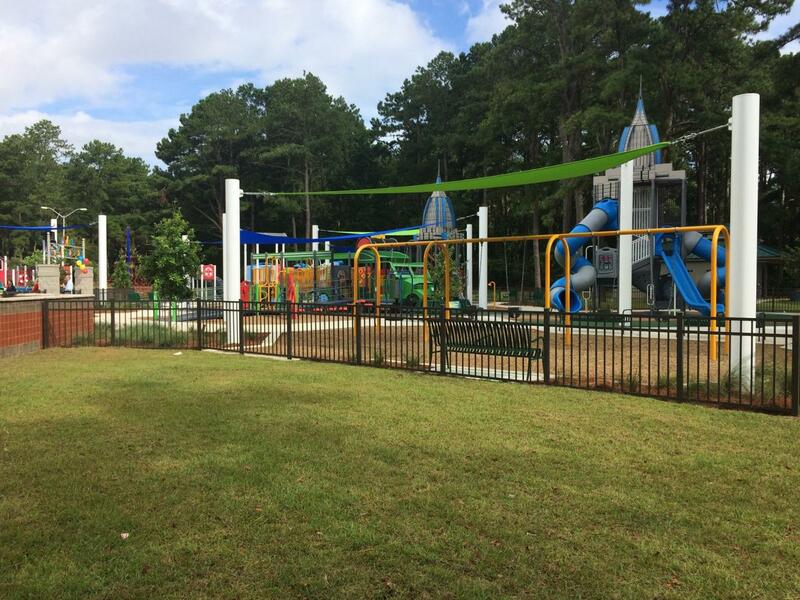 Medal of Honor Park has a dog park, a walking trail, picnic areas, soccer field, softball field, and the playground was recently renovated. The following photograph is from a Facebook page for Medal of Honor Park.